Home Top News What’s the future of abortion rights in Mexico under AMLO? 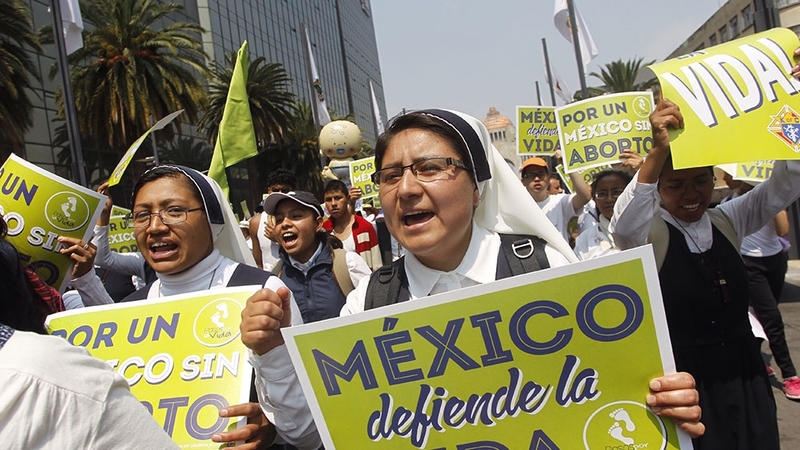 Mexico City – Mexico’s new government is yet to take office, but it has already reignited a fierce debate on women’s reproductive rights that could end in a polarising referendum. Shortly after a landslide victory by left-wing politician Andres Manuel Lopez Obrador in the July 1 presidential elections, his to-be interior minister drew both praise and criticism when she declared herself in favour of abortion rights. She also said she would favour a “judicial mechanism” to release women currently in prison for either having an abortion or assisting in one, hinting at a possible amnesty. Her comments infuriated the country’s conservatives, especially because abortion rights was not one of Lopez Obrador’s campaign promises. AMLO, as he is known in Mexico, ran on a three-party coalition which included the ultra right-wing party Partido Encuentro Social. During his campaign, he said he plans to put abortion rights up for referendum, but has not provided any details. “What we’re seeing is a legislative agenda that is not the one 30 million people who voted for Lopez Obrador asked for,” says Leonardo Garcia Camarena, vice president of a large conservative activist group Frente Nacional por la Familia. “It is being imposed against the will of the Mexican people; it’s being forced on us,” he told Al Jazeera. The Frente, which brings together smaller, local groups across the country, rallied supporters on October 20 and marched to AMLO’s offices demanding he rescind Sanchez Cordero’s appointment. But Sanchez Cordero found support from some female politicians. In the last two months, three different proposals to decriminalise abortion have been submitted in Congress, as well as one in the Senate. While the proposals’ details vary, they all look to reform the country’s criminal code and health law to effectively override local legislation and force individual states to provide free and safe abortions. The proposals are awaiting discussion. 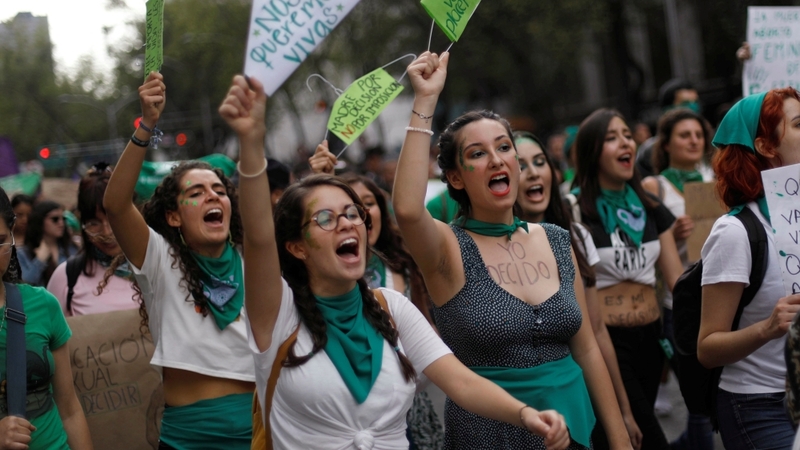 “People have stopped paying attention to Mexico because the capital city is considered one of freedoms, but the rest of the country is excluded,” said Regina Tames, director of think-tank Grupo de Informacion en Reproduccion Elegida, or GIRE, which also provides free legal defence to women who face prison time for abortion. “The city doesn’t represent the majority,” she told Al Jazeera. Data on the impact of illegal abortions is hard to find. Most recent figures from the country’s statistics agency, Inegi, show that from 2002 to 2016, 624 women died from getting an illegal abortion. But the figure underrepresents the reality, as deaths stemming from complications (such as hemorrhages or infections) are not recorded in the “death by abortion” category. “This effectively makes us second class citizens,” says Francisca Duarte, sociologist and member of the feminist organisation Observatorio Feminista Clara Zetkin in the northern state of Sonora, located some 2,000km away from the capital city. After Sanchez Cordero’s remarks, Duarte’s organisation presented a letter to the local congress, asking politicians to revert a decade-old ruling that defines life at conception. Politicians in at least 10 other states in Mexico have proposed new legislation either for or against decriminalisation since AMLO’s presidential win. Tames’s organisation, GIRE, is offering guidance to local politicians interested in passing legislation to decriminalise abortion, even providing model laws that comply with the recommended international standards approved by the UN, as well as other organisations. She argues that amnesty for those currently incarcerated for crimes related to abortions would not guarantee women who have an abortion in the future will not end up in jail and would therefore be a temporary solution to a long-term problem. Abortion rights groups are therefore pushing for a reform of the country’s health law and criminal code that would effectively force the states to either comply or fight back in the courts. The process can be long, explains Tames, and considering that AMLO’s Morena party won a majority in 19 of the 26 local congresses that held elections last summer, there is a possibility these states will back a federal reform. “It would be disheartening to see, six years from now, that the law didn’t change,” Tames says, referring to AMLO’s term as president and his party’s current influence in local governments as a real opportunity for change. If the law stays the same “it would give us reason to pause and think about how Mexico truly sees its women”. Many ctivists on both sides of the abortion debate believe a referendum is a bad idea. For Tames, people’s rights should be guaranteed by the state regardless of people’s opinions. Incoming interior minister Sanchez Cordero said in an event on Sunday that “people’s rights are not up for referendum, they are merely recognised”. On the other side is Garcia Camarena, who argues that referendums are not a realiable mechanism and any results will lack credibility. He would not trust them.